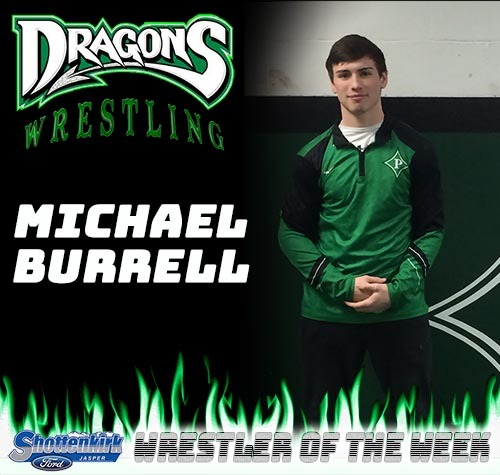 Congratulations to Michael Burrell for being Shottenkirk Ford's Pickens High School Dragons Wrestling Wrestler of the Week! Michael placed second at the Burnt Mountain Classic last weekend. He finishes the regular season with a record of 30-3.